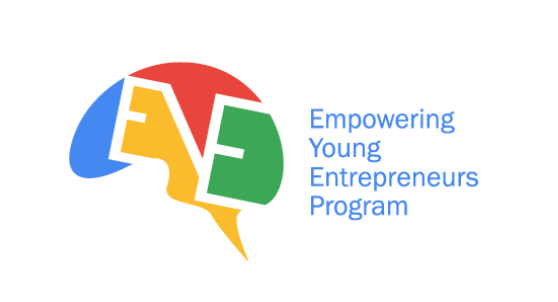 May 17, 2016, Hong Kong – The Empowering Young Entrepreneurs (EYE) Program, powered by Google, is, now open for application! Themed “Innovation in Everyday Life”, the 2016 program aims to drive collaborative innovation by connecting corporates and entrepreneurs. The EYE Program is proudly supported by three innovative leaders as the Corporate Partners: Asia Miles Limited, HKT, and New World Development Company Limited. Participating teams will work closely with the Corporate Partners to create innovative ideas and solutions related to lifestyle loyalty programs, information and communications technology (ICT), and smart living. Since 2013, Google’s EYE Program has inspired and changed the lives of young entrepreneurs and boosted the growth of Hong Kong entrepreneur’s ecosystem. For three consecutive years, Google continues to demonstrate its commitment in empowering entrepreneurs and corporates in Hong Kong. Eligible teams will receive a series of Innovation Boost trainings and workshops, covering from business management to design thinking; dedicated mentorship; as well as shadowing with Corporate Partners during June and November. Both startups and corporates will showcase their business ideas and creativity to bring new perspectives to the industries. Six winning teams will garner the opportunity to work alongside Corporate Partners to plan and execute innovative solutions contributing to the industry development. They will also present and showcase their achievements during their trip to Singapore and at the Demo Day. Interested teams should submit their application online with a summary of their business ideas by 5pm, on June 5, 2016 (SUN). A panel of judges composed of professionals and representatives from partners will provide scoring to the teams based on their reports, performance at various pitching sessions, as well as feedbacks from the mentors. The key judging criterias include viability, impact, industry innovation, and team capacity. The EYE Program 2016 is supported by blueprint, Center for Entrepreneurship of The Chinese University of Hong Kong, Cyberport, DBS Bank (Hong Kong) Limited, Hang Seng Management College – Executive Development Center, Hong Kong Science & Technology Parks Corporation, Institute for Entrepreneurship of the Hong Kong Polytechnic University, K11 Concepts Limited, The Hong Kong University of Science and Technology, The Wave, and Visa Hong Kong Limited. More details can be found on website: www.eyeprogram.org. Larry Page and Sergey Brin founded Google in September 1998. Since then, the company has grown to more than 50,000 employees worldwide, with a wide range of popular products and platforms like Search, Maps, Ads, Gmail, Android, Chrome, and YouTube. For more information, visit www.google.com.